Local author Isabel Ashdown has kindly donated copies of her latest novel Beautiful Liars to West Sussex Libraries and will be hosting an exclusive event for reading groups in the Bognor Regis area to support Libraries Week. I had several part-time jobs from the age of twelve – sewing soft toys for a local gift shop, working in the café at the Weald & Downland Open Air Museum, serving behind the chemist counter in my childhood village of East Wittering. Following school and college, my first job was as office secretary for a local builder’s firm – after which I landed my first career job, for The Body Shop at their head office in Littlehampton. I stayed with them for the best part of two decades, and was a senior manager by the time I left to pursue a writing career in the mid-2000s. I was always passionate about reading and writing, and now, six books into my career; I still pinch myself to think that I’m a full-time writer. Q. Which is your favourite fairy tale? As a child, the one which disturbed me most was Rumpelstiltskin. It horrified me to think of this poor girl, locked away and at the mercy of three terrible men who all want something from her – her boastful father who wants the King to marry her, the greedy King, who wants her to spin gold, and the evil imp, Rumpelstiltskin, who ultimately wants her first-born child. Thankfully, the imp gets his comeuppance, but somewhat disappointingly the father and King do not! Q. Which author has inspired you most? So many writers have inspired me, in different ways. But off the top of my head I can say: Alice Munro and Joan Barfoot for their sensitivity and insight; Raymond Carver for his stark and meaningful prose; Stephen King and Virginia Andrews for capturing me in my adolescent years with their authentic characters and page-turning stories; Sue Townsend for making me laugh when I was aged 13 ¾; Dr Seuss for feeding my love of language and rhythm; and all the authors, old and new, who encourage others to keep going, to keep writing. Q. Which fictional character would you most like to spend time with and why? I’m often drawn to those quieter characters who exist at the edges of society – these are the characters I continue to think about long after I’ve closed the pages of a book. I loved Kathy in Kazuo Ishiguro’s Never Let Me Go; Cassandra in Dodie Smith’s I Capture the Castle; Charlie in Stephen Chbosky’s The Perks of Being a Wallflower. Q. Who would you like to play you in a film of your life? I’m not sure my life is interesting enough for a film! But as leads to play any of my fictional characters, I’d be very happy to have Olivia Colman or Suranne Jones or Nicola Walker – all brilliant women whose talents I admire. Any of them, please. My Name is Lucy Barton by Elizabeth Strout – it’s extraordinarily wonderful, and I’m sad that it will soon come to an end … always the sign of a good book! October is Talk About Reading month, celebrating what books, reading and libraries mean to you. Libraries Week is a national celebration of libraries which falls within this month. Libraries up and down the country will showcase how they bring communities together, combat loneliness, provide a space for reading and creativity, and support people with their mental health. Look out for the Staff Picks display in your local library where we'll be showcasing some of our favourite titles and helping you find your next good read. We're always pleased to talk about books and reading and to hear about what you're reading. You can get involved on Facebook or Twitter at #WhyILoveMyLibrary where you'll also find the latest book-related news. The six books on the The Man Booker Prize 2018 Shortlist have been revealed. The judges describe them as ‘miracles of stylistic invention.' The winner will be announced on 16 October - which one would you pick to win this prestigious prize? Explore the titles and make your predictions! Five reading groups signed up to shadow the prize and will be meeting on the night of the award presentation to share their experiences. We’ll report back in the next edition of Pageturners! Are you looking for inspiration for an autumn read? Come to our upcoming Local Author Fair at Crawley Library. 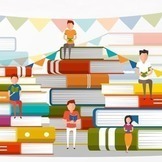 This is the finale to Libraries Week and follows on from the success of last year’s fair. This year we’re welcoming new and returning authors. We’ve got a great range of writers for you to chat to about their work and they will also be offering copies of their books for sale. This event is free and there’s no need to book – just drop in! If you no longer wish to receive the Library Reading Groups newsletter, unsubscribe here.